Dr Conte is a Research Fellow with The Australian Prevention Partnership Centre and is based at the Menzies Centre for Health Policy at the University of Sydney. 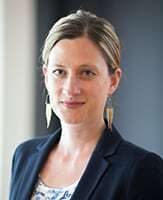 Her research aims to promote the importance of contextual knowledge, experience and practice in public health. Her strength lies in adapting evidence-based programs to meet local needs and she has worked with a variety of organisations throughout the US and India, including American Indian tribes, Department of Corrections, rural communities and faith-based organisations. For her PhD in Public Health from Oregon State University, she worked with local health departments and community organisations to scale up a state-wide arthritis program in a way that balanced local priorities with funders’ goals. She also holds an MA in Medical Ethics from the University of Louisville.